To get you in the mood for the North London Derby in the FA Cup later today I thought you might enjoy reading a couple of match reports for games where either scoreline today would be acceptable. 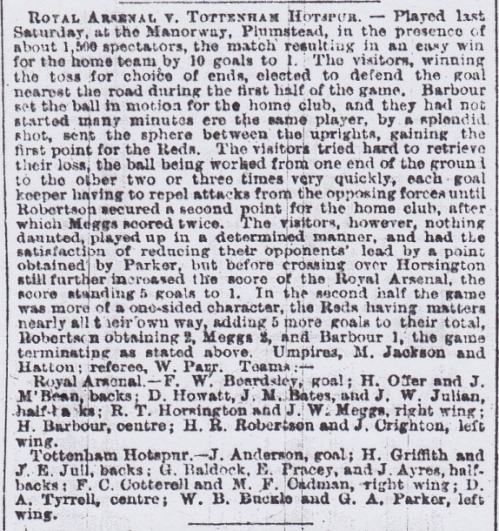 The first is for a game played on 21 September 1889 when Royal Arsenal gave Tottenham a sound thrashing. And the second is one that Gooners of a certain age will relish when we beat them 5-0 at their own place (click on the link to enlarge).